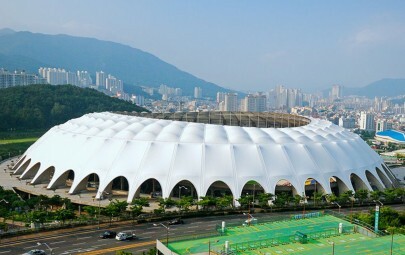 Architen Landrell was contracted to design and manufacture 238 triangular fabric hoods to cover the steelwork on the roof of the two domed structures. 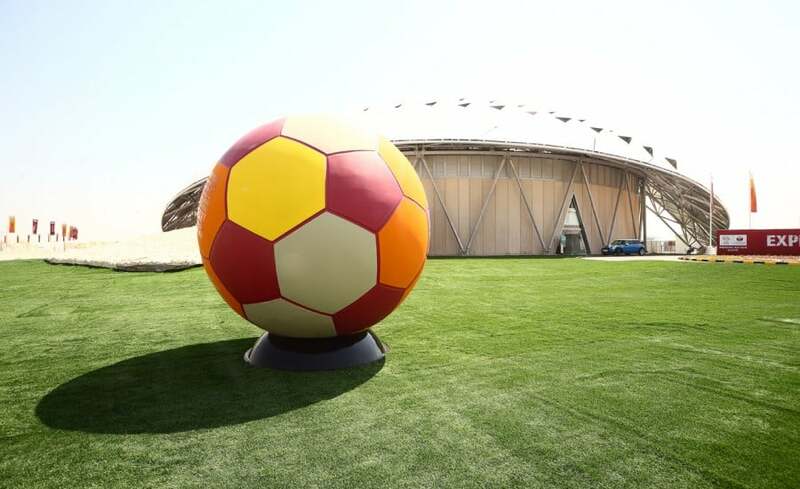 The 2022 Showcase consists of two semi-circular structures, one slightly smaller than the other , which can provide a fully enclosed stadium for a 5-a-side football pitch. 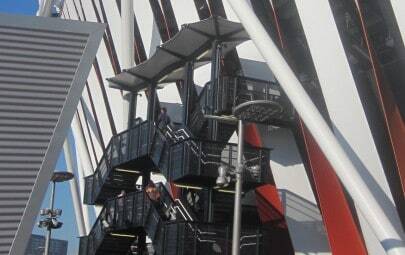 Alternatively the smaller of the two structures can rotate underneath the larger of the two structures to allow approximately 50% of the stadium to be completely exposed to the elements. 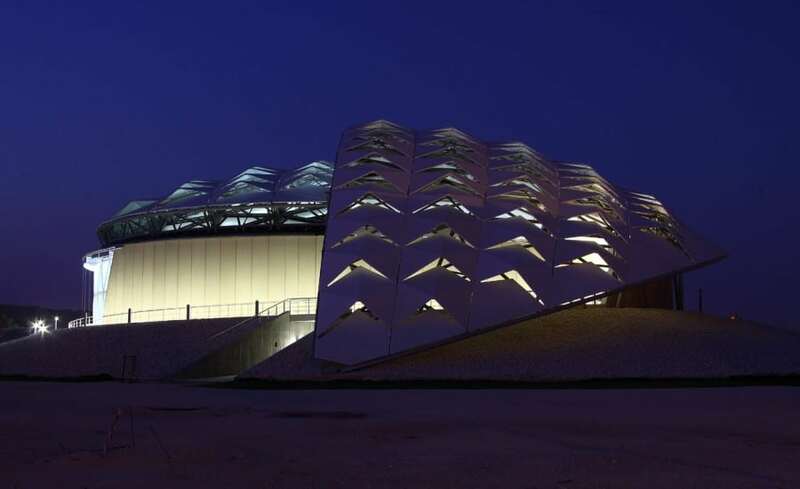 Built as part of the Qatar 2022 World Cup bid, the Showcase Stadium was designed to show the world that a harsh summer climate would not stand in the way of Doha hosting the global sporting event. 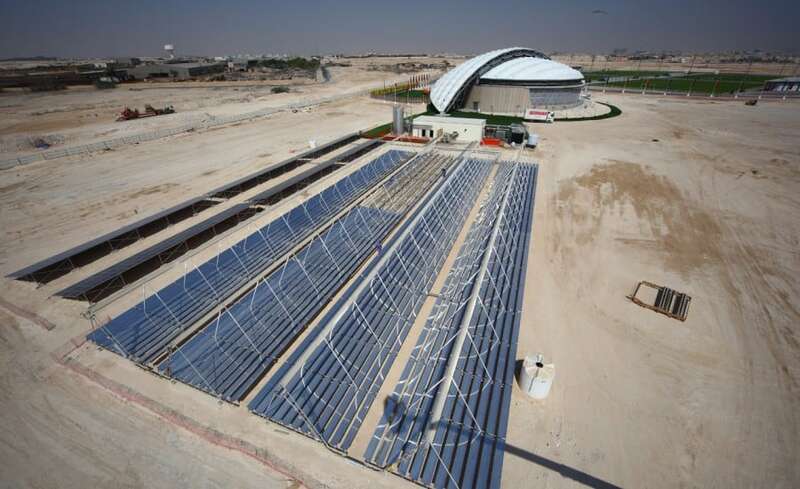 The stadium uses state of the art climate control techniques and technology to prove this point and deliver a carbon neutral venue. 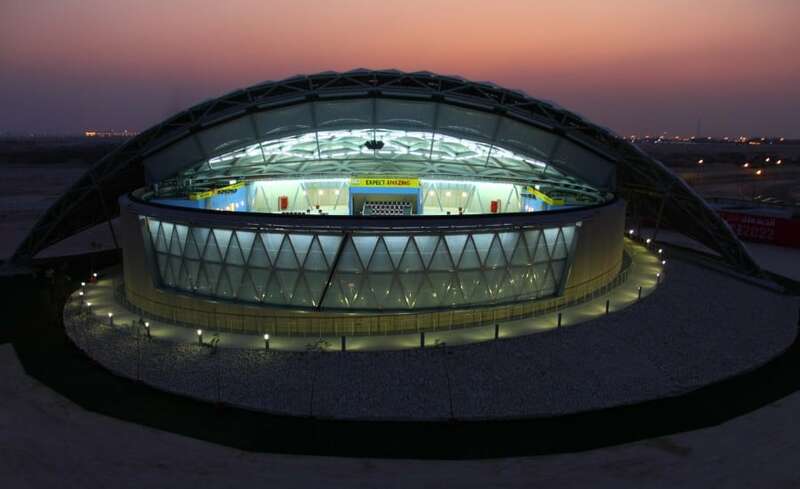 With a climate thats great for football most of the year, the rotating half-dome structure allows for natural ventilation and can be positioned to protect players and spectators from wind during match times. 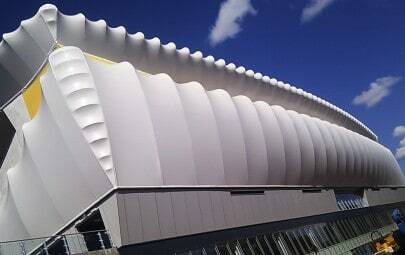 And when the summer heat is over powering, the dome closes and environmentally powered air-conditioning kicks in. Alongside photovoltaic cells and solar collection to power the artificial climate control, Architen Landrell was asked to use the newly developed Ferrari Low Emission fabric. Coated on one side with a low emission coating and coloured with an aluminium pigment, the fabric is designed to control solar gain and light transmission by reflecting the majority of solar rays away from the structure. Using a new fabric was not the only challenge, as the 238 panels were each of individual design and required individual patterning. A pain-staking design process paid off as others installed the fabric panels with minimum complications. 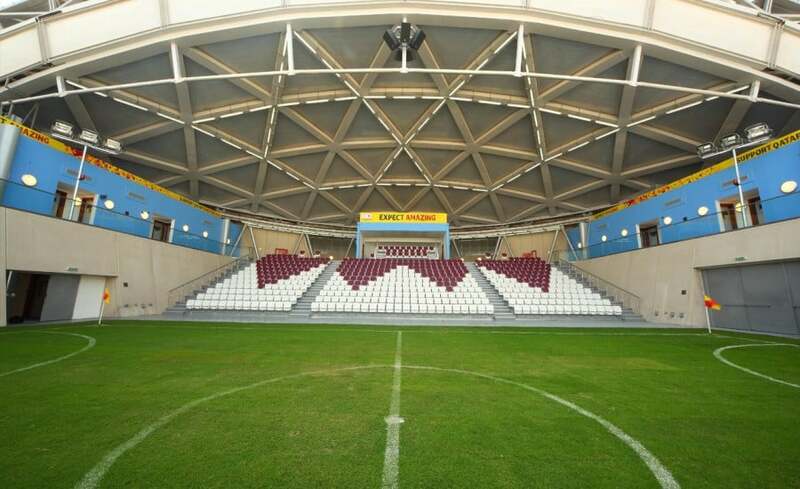 Ultimately the structure was an outstanding success and clinched the Qatar 2022 World Cup Bid. Photos provided by ES Global Solutions.